The company say: A burst of vibrant freshness comes alive through sparkling Bergamot and Mandarin splashed with crisp Granny Smith Apple and a spike of Star Anise. At the heart, the multi-faceted cool spiciness of Rosemary and Black Pepper accents the soothing essence of Lavender and Geranium. Warm Ambrox and soft Musk rise from the back, enveloping the strength and masculinity of a luxurious blend of Teak and Cedarwood. There are 5 reviews of Perry Ellis Citron. Nice, subtle, citrus opening that settles quickly to a soft, woody scent. The soft drydown reminds me of Eros or LeMale Eau Fraiche but obviously not as loud. They share the ambrox and woody notes but no tonka in Citron. A casual daytime scent that can be applied liberally. Below average projection and longevity, skin scent in under 3 hours. A moderate thumbs up for Perry Ellis Citron. It reminds me of Azzaro's Pure Cedrat effort, which also has yellow colored fluid and is crafted to be bright, fresh, and with a lemon peel type of citrus (not the pulp) that renders it airy. PE Citron is VERY alike in this regard to Pure Cedrat, and I gave it a nearly identical rating to PC. Pepper, lavender, rosemary, amber, and some wood (teak, cedar) dominate this aromatic flanker. Apple appears subtly, giving the scent a tastefully fruity splash without dousing it outright with tanginess. It is fairly pleasant, but not a "must" have groundbreaking cologne. A great bitter bergamot opening is followed by a creeping, tempering sweetness brought on by the emerging apple, at which point I get a meyer lemon feel. Sadly, despite the title here, citrus is not to be the star of this show. The pepper and apple together smell extremely similar to Dunhill Custom, but with more going on in the periphery. As the geranium begins to pop out I am reminded of another Dunhill - the signature release from 2003. Eventually the composition is made annoyingly trite by what smells like orris or tonka in the base, though neither are listed, but it is this powdery vanillic dismount which sours me to the whole thing. the first few minutes are delicious, but they certainly are fleeting. Like the rest of the 'colored dot' line of PE scents, Citron is derivative and has a short lifespan, but it is still probably the best of the lot. If you can find this for cheap it may make a suitable replacement for Eau de Rochas. Following in the same steps as the PH and Cobalt, this is a very nice inoffensive scent for office and in this case warmer weather. Like the rest of the line, it is a mix of pre-existing PE fragrances. Is it nice? yes. is it something you would crave? no. Generic but not to the point of forgettable. The apple note is nice, tempered well by pepper and musk to keep it from being boring. Worth it only if you can get it cheaply. Great fizzy/sparkling citrus opening that quickly fades after about 10minutes or so. Then the apple, pepper and star anise come forward and a good dose of lavender begins creeping in as well. Longevity seems to be quite good with just a few sprays from my sample, but honestly more testing is needed to be sure. I am a big fan of this house in general, so had high hopes and was really looking forward to trying this. It's certainly a quality fragrance with three distinct phases, but ultimately this will be a pass on buying a full bottle since I already own the fragrances that this closely mimics. Still a good outing for PE and I suggest giving it a sniff if you get the chance! :) Teetering on the brink between neutral and thumbs up....but just enough to tip the scales in its favor. Perry Ellis Triple LiquaTouch Sample (Cobalt, Citron & Red) WRAPPED LOT OF 50! 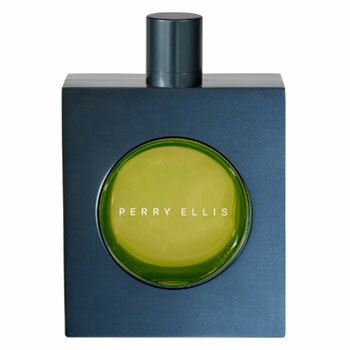 There are no member images of Perry Ellis Citron yet. Why not be the first?